I'm waiting in knee-deep snow for a natural light show that may or may not happen. So are hundreds of other photographers. Any parking space within a half mile of good vantage point was claimed three or four hours before show time. 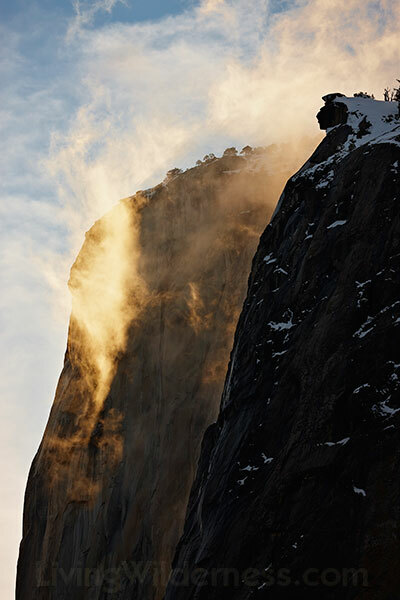 We're all waiting for the setting sun to light up Horsetail Falls, a thin thread of a waterfall that occasionally glides down El Capitan in Yosemite National Park. For a few weeks in February, if the conditions are just right, the setting sun will make the waterfall appear as if it were on fire.